A specialist in employment relations and human resource management, Chia Boon Cher spent more than 16 years at Singapore’s Ministry of Labour (now the Ministry of Manpower) before joining the private sector in 1990. At the Ministry he held various appointments including Enforcement Officer (Labour Inspectorate), Assistant Director (Conciliation) and the Registrar of Trade Unions. His experiences encompassed the enforcement of labour laws, including the Employment Act and conciliation of trade disputes. 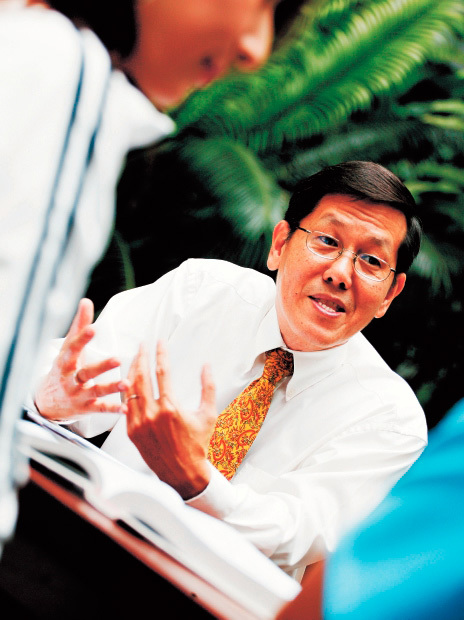 He also has a wide knowledge of human resource management and industrial relations, having worked at the Singapore National Employers’ Federation (SNEF), foreign multi-national companies such as SmithKline Beecham and large local corporations such as ST Aerospace. As a private consultant, Mr Chia has worked with the Monetary Authority of Singapore (MAS), SATA CommHealth, Sentosa Development Corporation, Changi International Airport Services (CIAS), SATS, Shell Eastern Petroleum, Tiger Airways, Singapore National Eye Centre, National Kidney Foundation, National Cancer Centre (Singapore), National University of Singapore, Changi General Hospital, SMRT, Sembcorp Industries, Jurong Shipyard, Marina Bay Sands and Resorts World Sentosa. For over 14 years, Mr Chia has been sharing his experience and expertise in the field of labour laws and practices through lectures, talks and workshops at NTUC, the Singapore Institute of Management (SIM), the Singapore National Employers Foundation, the Management Development Institute of Singapore (MDIS), the Singapore Human Resources Institute (SHRI), PSB Academy, the Lee Kuan Yew School of Public Policy at the National University of Singapore (NUS), and numerous private organisations. He obtained his MA, HRD from George Washington University and BSc (Econs)(Hons, 2nd Upper) from London University. Mr Chia has written two books: Practical Guide to the Employment Act for Good HR Practices and Practical Guide to the Employment of Professionals, Managers and Executives (PMEs) for Good HR Practices. We’re always on the lookout for HR experts with unique functional specialties. If you’d like to join us as a HRguru Independent Professionals (IPs), please contact our Chief Guru Tommy Ng at tommyng@hrguru.com.sg.